Advanced Cleaning and Restoration Services started operating its business back in 2001. We focus on giving these following services for the household and commercial establishments: tile and grout cleaning; rug cleaning and upholstery cleaning; carpet cleaning; grout colour sealing; and restoration services. Our restoration services are available 24/7 and can be billed directly to insurance companies. We offer water damage restoration, fire damage restoration, mould removal as well as sewage cleaning. Through the years of service and experience in the business, we have been able to master the best cleaning and restoration techniques to guarantee our work with a 100% money back guarantee. Now working with many of the best technicians in the industry and gaining knowledge from the best training institutes across Australia, enables us to provide you with the results on the market. Our commitment to training and education with the IICRC (Institute of Inspection, Cleaning and Restoration Certification – the world’s most recognised cleaning and restoration certification body). 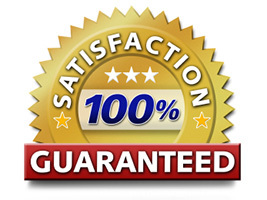 We guarantee all work with a 100% satisfaction guarantee... if you are not happy... we don't expect payment! and as we are able to offer more than one service, we offer discounts when clients order more than one service. Use our contact us form to email us. Copyright 2012 © Advanced Cleaning and Restoration Pty Ltd, All rights reserved.